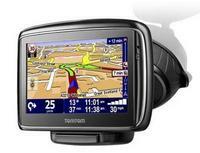 TomTom release details of three new sat nav systems that might help make your commute less stressful. The new systems are equipped with dynamic navigation that helps you avoid any major traffic snarls as well as take into consideration the time of day, weather conditions and local traffic info. There are three new models, the TomTom GO 940 LIVE, GO 740 LIVE and GO 540 LIVE, and they connect to TomTom’s high definition traffic service, which means live information regarding any accidents or traffic hotspots. They’ve extended their IQ route format to use previous captured information of the roads on other occasions, and will hopefully manoeuvre you away from the worst of it. They’ve also included a nifty fuel feature which lets you know just how much gas prices are in the area, and you can use the Google Area Search to direct you to the cheapest petrol station. They’ve optimised the icons on the display to make it more user intuitive, and as it’s a plug n play system it’s pretty idiot proof.